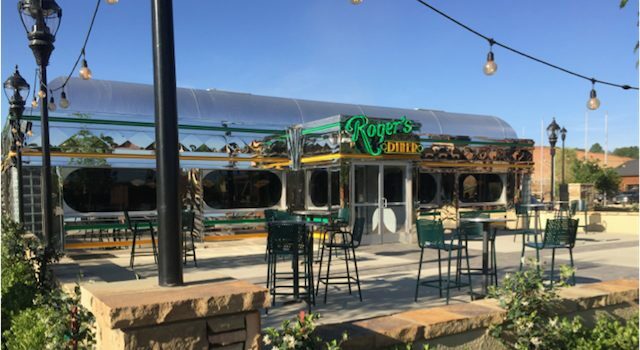 MILL SPRING, N.C.: (May 14, 2015): The construction of Roger’s Diner at the Tryon International Equestrian Center, located between rings 1 and 2, is now complete and the restaurant is open to the public for breakfast, lunch and dinner seven days a week. 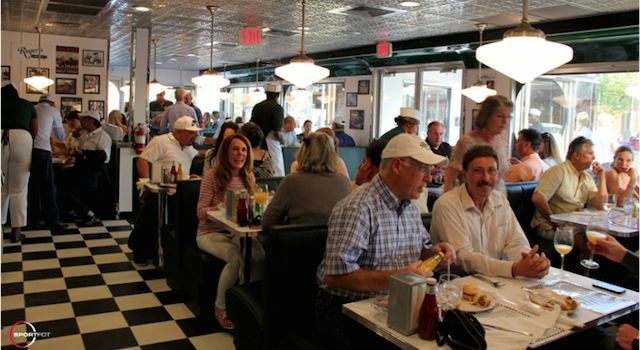 The diner’s shiny metallic exterior and green pinstripe, and patrons can sit outside at patio tables or inside the “Happy Days” era restaurant at comfortable banquettes, tables or at a traditional lunch counter. Roger’s Diner will offer a menu of classic and southern favorites like burgers, patty melts, grits, and milkshakes along with breakfast all day and gluten-free, dairy-free and vegetarian choices. Fresh, locally sourced ingredients will be used to create seasonal farm-to-table dishes. Beer and wine are also available. The inspiration for the diner came after Crossroads, another favored restaurant in the area, burned down. TIEC partners Roger Smith and Mark and Katherine Bellissimo frequented Crossroads and were heartbroken when it was destroyed. As a surprise tribute to their friend and partner, the Tryon Equestrian Partners dedicated the diner at the equestrian center to Smith. Staff, construction crew and TIEC partners gathered to celebrate the grand opening of the restaurant on Sunday, May 4. Roger’s Diner is open Mondays and Tuesdays from 8 a.m. – 8 p.m. and Wednesday – Sunday from 7 a.m. – 9 p.m. Following Tryon Café, it is the second eating establishment to open at TIEC. The Legends Club Grille is opening Wednesday, May 20. Blue Ginger, serving sushi and salads, will be premiering the evening of Saturday, May 16.